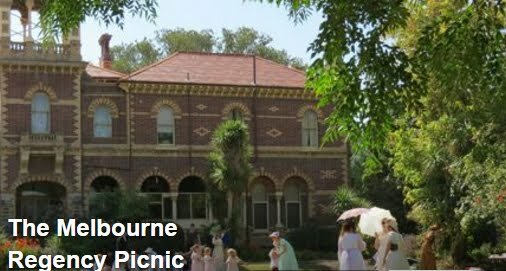 I have an afternoon High Tea coming up with some friends. 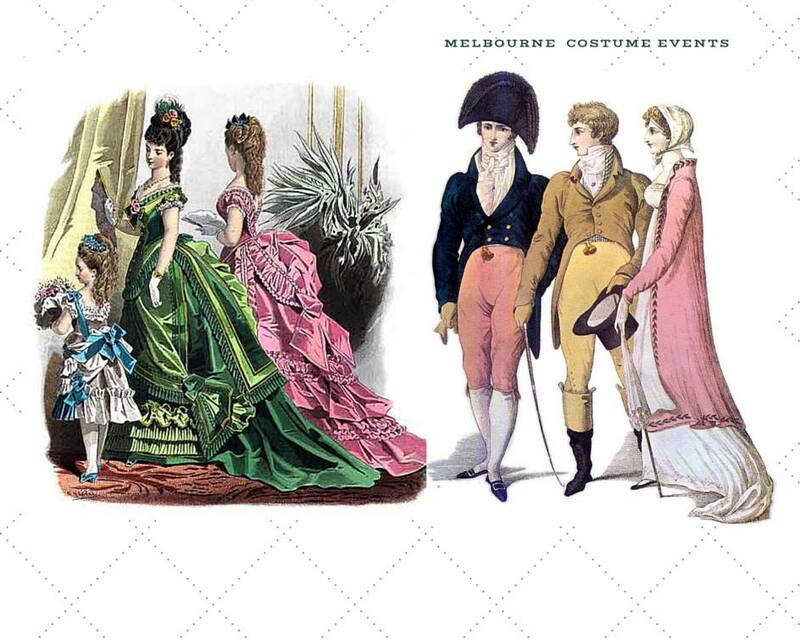 The dress code is Victorian or Edwardian. I decided on Victorian and to loosely based my outfit that the character Katherine Glendenning (Elaine Cassidy) wore in the TV series, 'The Paradise'. I already had a green skirt completed, so onto the bodice. 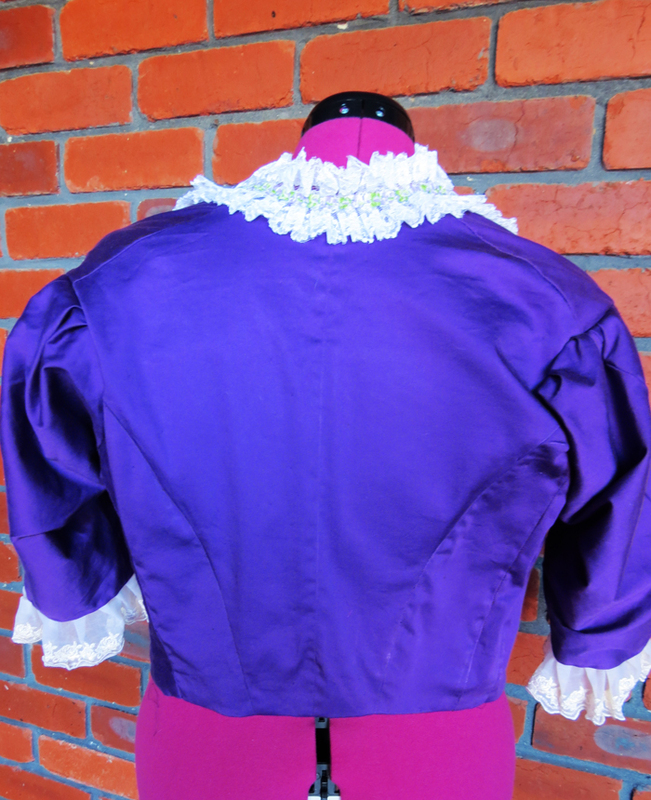 I had never made a bodice before, so I went with a pattern company I knew would suit my standard of sewing. 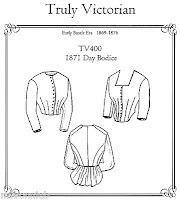 So I decided on Truly Victorian TV 400 1871 Day Bodice Pattern, with the low neck line. I found this pattern matched my sewing abilities. When it came to 'Sizing Your Pattern' I was a little hesitant, because measurements are not my strong point. But I must say the explanation on how to adjust the front and back was explained really well, with an example for the sewer to understand. So full marks to 'Truly Victorian'. Then came the actual sewing of the bodice. 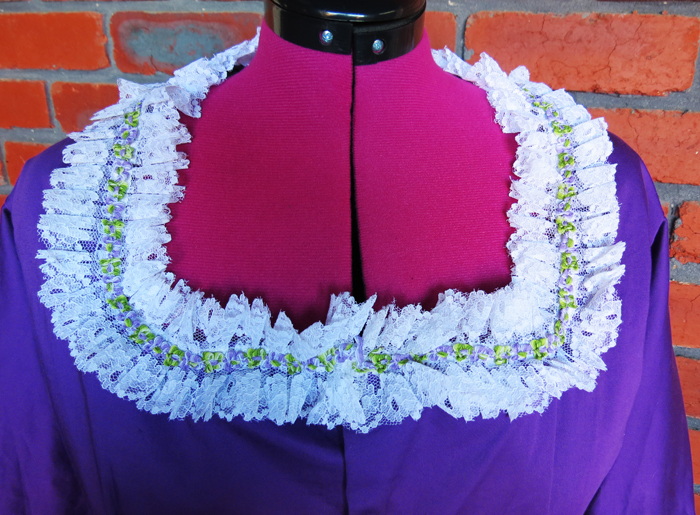 I used purple cotton sateen and Japanese silk for the lining. I also used plastic boning that was already encased in fabric so this step was completed quickly. Also included in the instructions is a list of different types of ways you can decorate your bodice. For example, ruffles, braids, stripes and so on. 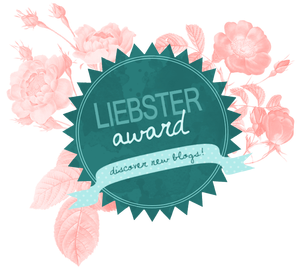 You choose your decoration and there is a short description of what it is and how you can achieve the look. Overall this pattern was understandable, great explanation on how to adjust the sizing. I only wish there had been more illustrations. 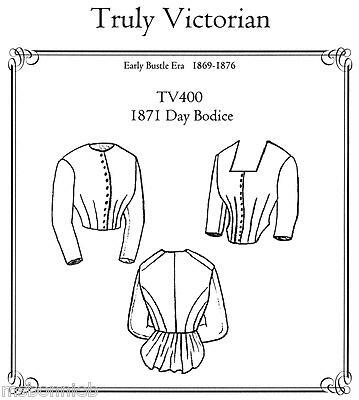 I would recommend this pattern for any first time bodice makers out there.